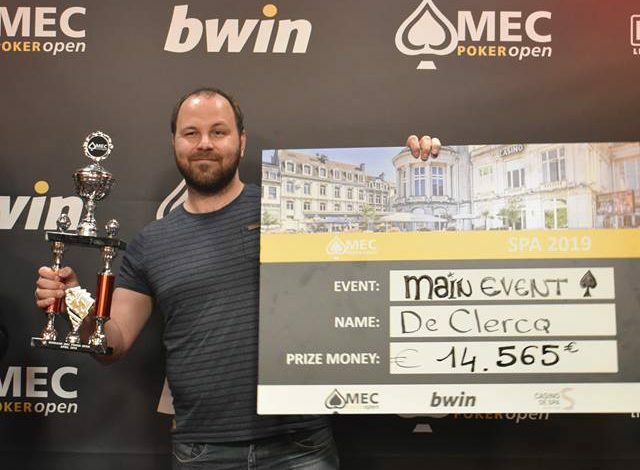 Your location: Home ♥ Kristof de Clercq wins the MEC Poker Open Main-Event! 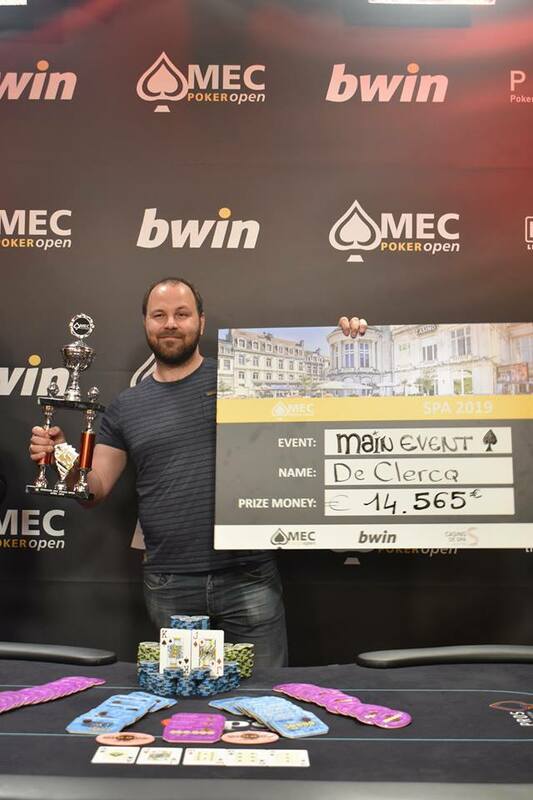 Kristof de Clercq wins the MEC Poker Open Main-Event! 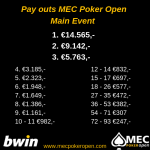 At sunday the 7th of April 93 player came back to challenge eachother for a first price of €14.565. With the previous champion, Danny op ‘t Hof, still in the field there still was a possibility to have a back-to-back champion. With everybody already in the money, the bubble play already happened. The first player to bust on day 2 was Franky van der Stichel (93th). He could only enjoy day 2 for 7 minutes and was closely followed by Sven Heinen (92th) and Roan Wassenaar (91th). The first Belgium pokerplayer to bust was Joachim Landerloos at 79th place. Just before the first payjump of the day Anaël Vanorshoven got eliminated at 73th place. They all took €247,- with them. With commentators Roy van Boven and Tom Slikboer in the commentary booth, the stream was live just before the main-event started. Tom is known as the organisator of the APAT and has a lot of knowhow about poker. With the chat on Twitch in active we introduced the #brendaupdate. Brenda Fritz is a well known female pokerplayer in the community and was closely followed by friends on the stream. She was quitte short the whole time, but doubled up several times. Unfortunately she busted at 27th place and took €472 with her. When she busted the next payjump was a fact. Just before the final table we lost Arij van der Lee, the chipleader of Day 1A, at 19th place for €577,-. 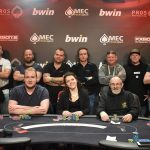 Kristy Jonkergrouw, who was 2nd in chips after Day 1A also didn’t make it to the final table. She got eliminated at 41th place for €382,-. The only German player left, Stefan Bittger, who was challenging Ruurd Nauta at day 1C a few times got eliminated at 31th place for €472,-. The bubble boy of the final table was Michel van der Klundert who finished at 10th place for €982,-. At 8th place we saw Marc Hannesse, who had the best upswing at the final table, eliminated for €1.386. He was closely followed by Marinus van den Akker at 7th place for €1.649,-. The Dutch player Mario Schep, who would get his first Hendon Mob cash, saw his dream come to an end at 6th place for €1.948,-. The 5 remaining players didn’t fancy to bust very soon. It took a long time before Jeffrey Jol got eliminated. He finished at 5th place for €2.323. Not a bad day for Jeffrey Jol. With 4 players they were trying to make a deal. The deal didn’t come through so they were still playing for the first price of €14.565,-. After 45 minutes it was the Belgian player Michael Altena who got knocked out at 4th place for €3.185,-. The remaining 3 players were talking about a deal again and this time they approved their pay-out. They made a deal ICM-wise and were playing for the throphy. The blind levels were changed to 10 minutes. The first one to bust was Joris Dirks. He was the last Dutch pokerplayer in the main-event. 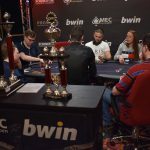 He busted at 3th place for €8.478,-. 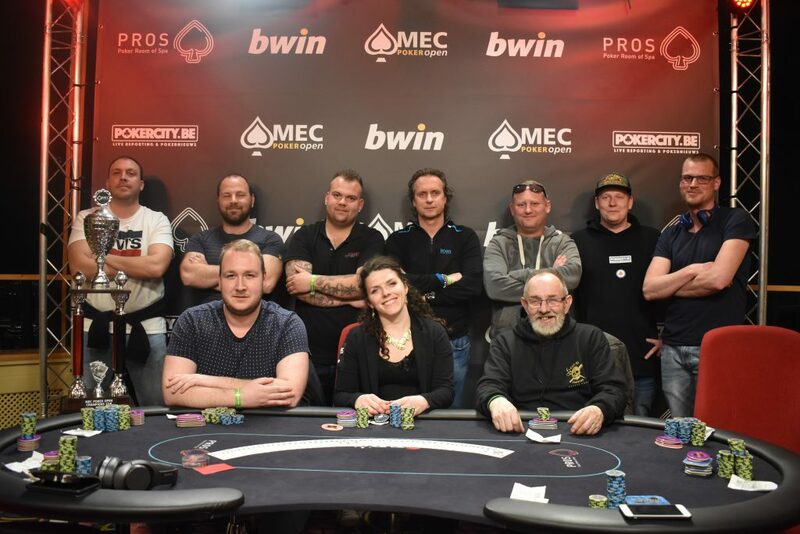 The heads-up was between two Belgian players named Tim Verheyen ($123.128 live earnings) and Kristof de Clercq (no hendonmob cashes). For Kristof this will be his first live cash and it could be a win! 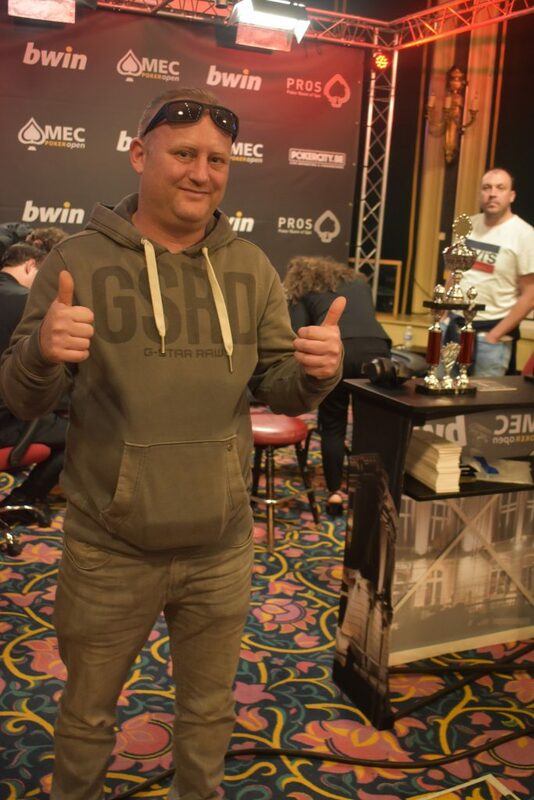 It was Kristof de Clercq who won the heads-up! His first live cash and it was the victory at the MEC Poker Open!